Bright, spacious rooms and underground parking are offered by this hotel in Munich’s Pasing district. Munich Airport and the city centre are a direct train ride away. 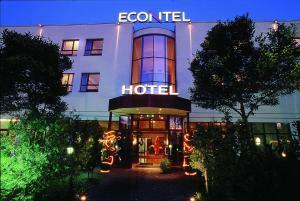 The 3-star-superior ECONTEL HOTEL München provides soundproofed rooms and suites with a safe and satellite TV. All rooms feature floor-to-ceiling windows, and some include free Wi-Fi. A free internet terminal is available in the ECONTEL’s lobby. Guests can also enjoy free tea and coffee here from 11:00 each day. The hotel also offers a hot/cold breakfast buffet and a 24-hour bar. 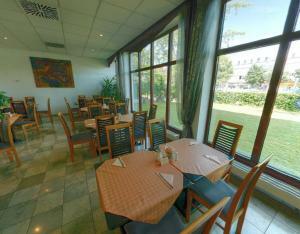 A range of restaurants are within a 10-minute walk of the ECONTEL München. Neuaubing S-Bahn station is a 3-minute walk from the Econtel Munich, and is 6 stops from the city centre. The A99 motorway is a 3-minute drive away.